Cheese Making Illustrated — The science behind homemade cheese. Cheese.com — includes an extensive database of different types of cheese. Cheese Guide & Terminology — Different classifications of cheese with notes on varieties. 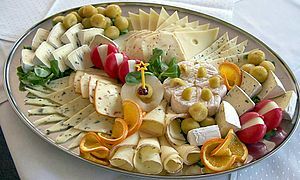 Fresh Cheeses at The Cook's Thesaurus, page about different kinds of fresh cheeses and how to make them.